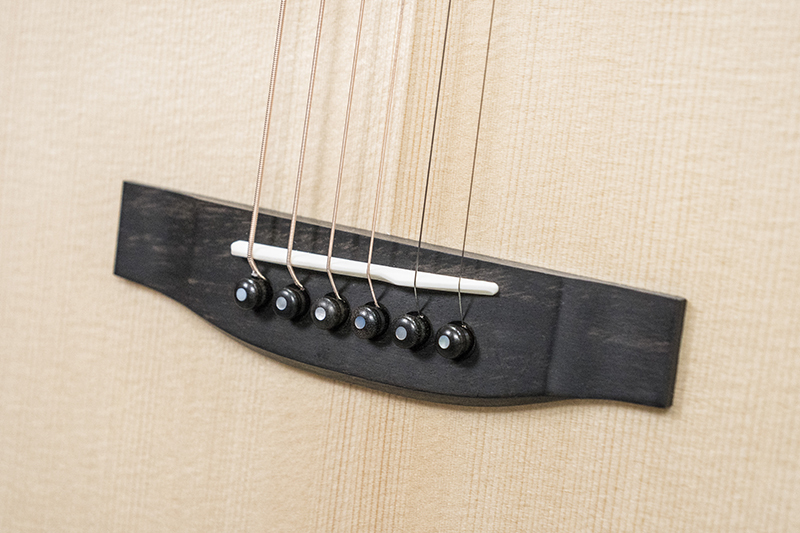 Ben Morgan-Brown reviews an elegant contender for the pro or advanced player. 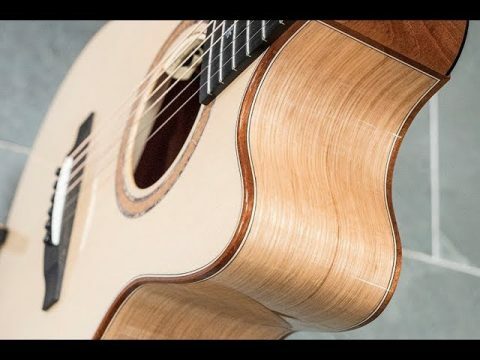 It’s probably fair to say that Germany’s Lakewood guitars haven’t had the prominence in the UK market that they could, or should, have received. Meticulously made from the finest quality woods, those who have tried them invariably praise them. It’s just that they haven’t been very heavily promoted here so that is a relatively small number. We feel that could be set to change. 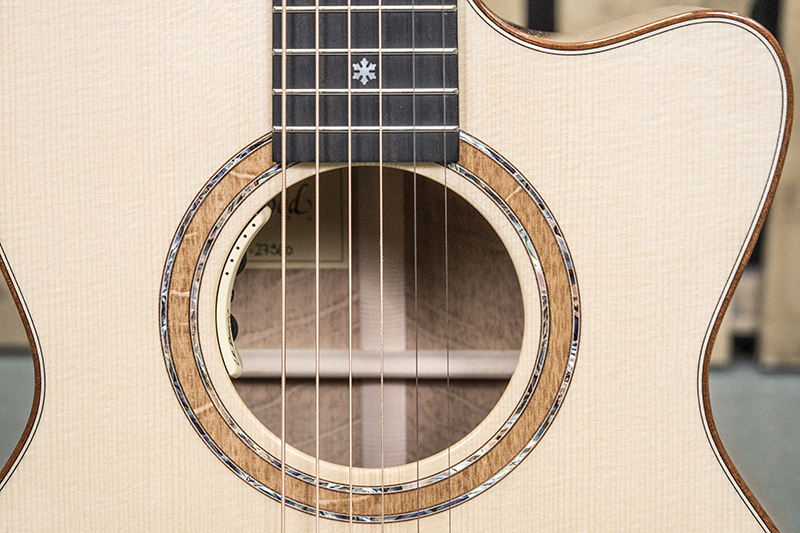 The M-35 CP is in Lakewoood’s Deluxe series and is a grand concert sized guitar with a cutaway and an unusual choice of tonewoods. 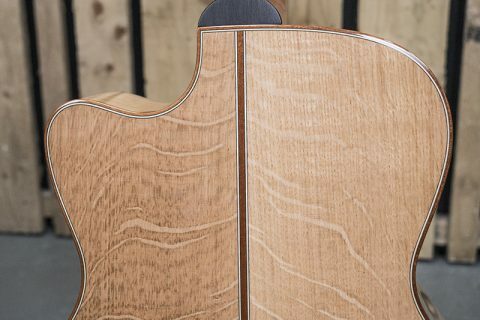 The triple A grade European spruce top is conventional enough but the guitar sports an oak back and sides, which is very unusual. It looks superb, as you can see from our video – and the sound? If you’ve never heard an oak guitar you are in for a pleasant surprise! The relatively small body is extremely crisp looking and the aesthetics are continued to the tone, which is beautifully detailed. At £2,750 the Lakewood isn’t cheap, but it punched above its weight in terms of materials,very high constructional quality and performance, as Ben found out – and look at the ‘extras’! The M-35 CP comes with an L.R. Baggs Anthem undersaddle piezo/microphone blended pickup and a professional grade Hiscox case. For a guitar of this quality, easily up to professional and advanced enthusiast player standards and fully the match of many of the American ‘big name’ brands, we think it offers very good value for money. Check out Ben’s video to hear for yourself this distinctive and rather beautiful, in an understated way, Lakewood.